FENLON, W. A., Gunner, R.G.A. Having served since August 1905, he was retained in England until July 1915, when he was drafted to Italy. After serving in many operations until March of the following year, he proceeded to Mesopotamia, and landed at Basra in May 1916, and subsequently fought in many engagements until hostilities ceased. He was demobilised after his return to England in May 1919, and holds the 1914-15 Star, and the General Service and Victory Medals. 6, Florence Villas, Helvetia Street, S.E.6. FENN, T., Private, R.A.S.C. (H.T.) Having volunteered in May 1915, he was sent to the Dardanelles later in the same year, and did excellent work at the Landing at Suvla Bay. He afterwards saw service in Egypt, and subsequently proceeded to France. He was engaged on important transport duties at Vimy Ridge, on the Somme, at Cambrai and various other places until the Armistice. He was demobilised in January 1919, and holds the 1914-15 Star, and the General Service and Victory Medals. 7E, Sutton Buildings, Chilton Street, Deptford, S.E.8. FENNALL, C. E. (Miss), Nurse, Royal Red Cross Society. This lady proceeded to Salonika in December 1915, with the British Royal Red Cross Contingent, and was stationed at Guivelli, Serbia. She was in charge of sick and wounded soldiers, and rendered valuable services until June 1916. She holds the 1914-15 Star, and the General Service and Victory Medals. 206, Edward Street, New Cross, S.E.14. FENNELL, J. H., A.B., Merchant Service. He volunteered in Australia in August 1914, and reaching England, was posted to H.M.S. "Maniton," in which he was employed in transporting troops, munitions and food to France. When his vessel was torpedoed off the Irish Coast, he was luckily rescued and continued his service until the end of the war. In 1920 he was still at sea, and holds the General Service and Mercantile Marine War Medals. 71, Silwood Street, Rotherhithe, S.E.16. FENNELL, W. C., Private, 4th Royal Fusiliers. He volunteered in November 1914, and in the following year was drafted to the Dardanelles. He took part in the landing at Gallipoli, and was later sent to the Western Front, where he was in action at Vimy Ridge. He fell fighting at the Battle of the Somme on October 7th, 1916. He was entitled to the 1914-15 Star, and the General Service and Victory Medals. "Steals on the ear the distant truimph song." 99, Clarence Street, Rotherhithe, S.E.16. FENSOME, J., Private, Welch Regiment. Joining in May 1916, he crossed early in the following year to France, and fought in the Battles of Vimy Ridge, Arras and Ypres. In July 1917 he was severely gassed in the Somme sector, and was invalided home and subsequently discharged as medically unfit in March 1918. He holds the General Service and Victory Medals. 507, Southwark Park Road, Rotherhithe, S.E.16. FENSOME, M. C., Private, 2nd Essex Regiment. Joining in May 1917, he proceeded early in the following year to France, where, after a few weeks' active service, he was reported missing. Later he was presumed killed in action in April 1918, and was entitled to the General Service and Victory Medals. FENTON, T., Stoker 1st Class, R.N. He joined the Navy in 1907, and during the war served in many ships, including H.M.S. "Atran" and "Racoon." He took an active part in the Battle of the Narrows in March 1915, and also performed various important duties in the North Sea, and Irish Channel, but unhappily lost his life when the "Racoon" was lost on January 9th, 1918. He was entitled to the 1914-15 Star, and the General Service and Victory Medals. 34, Melon Road, Peckham, S.E.15. FENTON, W., Sapper, R.E. Volunteering in February 1915, he soon proceeded to the Western Front, and fought in the Battles of Loos and the Somme. Transferred to Salonika, he served throughout the Balkan campaign, taking part in the operations on the Vardar, Struma and Doiran fronts, and suffered from malaria. Returning home in March 1919, he was demobilised, and holds the 1914-15 Star, and the General Service and Victory Medal3. 48, Lugard Road, Peckham, S.E.15. FERGUSON, A., Ordinary Seaman, R.N. Joining in March 1917, he was posted to H.M.S. "Inflexible," in which ship he was engaged on patrol and other important duties in the North Sea. He was also present at Scapa Flow, and rendered valuable services until the conclusion of hostilities. He holds the General Service and Victory Medals, and in 1920 was still serving on board H.M.S. "Waterhen." 51, Cranham Road, Rotherhithe, S.E.16. FERGUSON, E. J., Pte., 19th Royal Welch Fusiliers (London Welch). He volunteered in April 1915, and after a course of training served on various important duties with his unit. In July of that year, however, he was discharged on account of being under age. FERGUSON, W. J., Private, East Surrey Regiment. He volunteered in September 1914, and in May of the following year embarked for the Western Front, and fought and was wounded at Loos. Later, however, he rejoined his unit and took part in the engagements on the Somme at Ypres, and elsewhere until the Armistice. Demobilised in February 1919, he holds the 1914-15 Star, and the General Service and Victory Medals. FERIN, C. S., A.B., Royal Navy. Volunteering in January 1916, he was posted to H.M.S. "Lord Clive," in which vessel he did good work whilst she was employed on patrol duties in the North Sea. He also served in several monitors, which took part in the bombardment of enemy postions on the Belgian Coast and in operations at Zeebrugge and Ostend. Demobilised in March 1919, he holds the General Service and Victory Medals. 36, Constance Road, East Dulwich, S.E.22. FERNEYHOUGH, T. H., Driver, R.A.S.C. He was mobilised in November 1914, and during the war saw service in Egypt, the Dardanelles and Salonika. In these theatres of war he did valuable work in transporting supplies and ammunition to the forward areas. He returned to England in August 1918, and remained on home duties until demobilised in January 1919, and holds the 1914-15 Star, and the General Service and Victory Medals. 49, Woodpecker Road, New Cross, S.E.14. FERNOT, A., Petty Officer 1st Class, R.N. Already in the Navy at the outbreak of war he served during the course of hostilities in H.M.S. "Black Prince." He was engaged on patrol duties in the Mediterranean and the North Sea, and took an active part iu the Battle of Jutland, but unfortunately lost his life when the "Black Prince" was sunk on May 31st, 1916. He was entitled to the 1914-15 Star, and the General Service and Victory Medals. 22, Ansdell Road, Peckham, S.E.15. FERRIS, E. (Mrs.) (n�e Hespringham), Special War Worker. During the period of hostilities this lady rendered valuable services in connection with the production of munitions at Abbey Wood. She carried out her duties in a highly commendable manner. FERRIS, P., Private, 20th London Regiment. Volunteering in March 1915, he crossed in the following October to France, and fought in many important engagements. At Cambrai, in 1917, he was taken prisoner, and held in captivity until after the Armistice. Returning home in March 1919, he was demobilised, holding the 1914-15 Star, and the General Service and Victory Medals. 30, Snead Street, New Cross, S.E.14. FERRY, H. H., Corporal, 3rd Royal Fusiliers. He volunteered in April 1915, and two months later landed in France and took part in the fighting at Loos. Transferred to Salonika, he served there for a time, and then proceeded to Egypt. In this theatre of war he was engaged on various important duties, chiefly at Alexandria. Returning home in March 1919, he was demobilised, holding the 1914-15 Star, and the General Service and Victory Medals. 139, Rotherhithe New Road, S.E.16. FEWINS, G. H., Pte., Q.O. (Royal West Kent Regt). Serving at the outbreak of war he was immediately sent to France, and took part in the Battles of Mons, Le Cateau, the Marne, La Bassee, Ypres and Neuve Chapelle, where he was wounded. He was subsequently in action at Hill 60, Ypres, Festubert, Loos, Albert, Vermelles, Vimy Ridge, the Somme, Arras, Bullecourt, Cambrai, Amiens and Bapaume. He was demobilised in April 1920, and holds the Mons Star, and the General Service and Victory Medals. 13, Eastney Street, Greenwich, S.E.10. FEWINS, H., Private, Q.O. 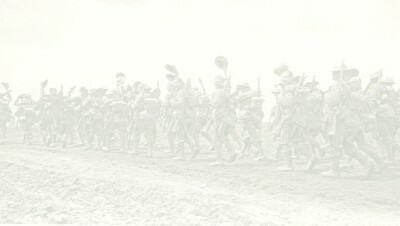 (Royal West Kent Regt). He volunteered in August 1915, and was engaged with his unit on important duties until August 1917, when he was sent to France, where he took part in the fighting at Ypres, where he was gassed, Lens, Cambrai, the Somme, the Marne, Amiens, Bapaume and Havrincourt where he was severely wounded. After having a leg amputated he was sent home and was discharged in May 1919, holding the General Service and Victory Medals.